14 songs about the evening, night and the afterwards. Track no. 2 "Träumerei" comes from the Blues Buddies album "Bluescreme" from last December. Track no. 12 "Schicht" comes from the album "Liebe & Leben" from March of this year, but here enriched by the wonderful guitar playing of ToulGuitar. All other vocals and lyrics were created between 27 September and 12 October 2016. Many thanks to all the musicians from all corners of this wide world. 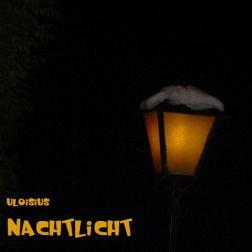 14 Songs zum Thema Abend, Nacht und das danach. Track Nr. 2 "Träumerei" stammt aus dem Blues Buddies Album "Bluescreme" aus dem letzten Dezember. Track Nr. 12 "Schicht" stammt aus dem Album "Liebe & Leben" aus dem März diesen Jahres, hier aber bereichert durch das wunderbare Gitarrenspiel von ToulGuitar. Alle anderen Gesangsaufnahmen & Lyrics entstanden zwischen dem 27. September und dem 12. Oktober 2016. Herzlichen Dank an alle am Album beteiligten Musiker aus allen Ecken dieser weiten Welt. Whether from the basement or from the stage, your songs are cool! I am glad that I am part of this album it, thank you very much! I echo in verbatim what mortheol has said in his review of this album. This album maintains such a lovely atmosphere from start to finish. I am honoured to have been a part of it. By far Uli has become one of my favorite singers on the loops. Everything he sings, in all style, he does with honesty, conviction, emotion, and "Herz und Seele"!! I am so glad to have discovered him and his music. It is a true honor to be part of this album. Still this idea that it is not far.